I snapped this bull as it ran towards me. Thankfully there was a fence between us. It turned out that he was just curious and after a few pats, we became great friends. 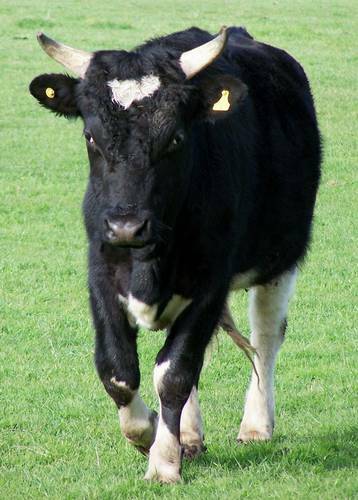 Have just been informed by my lovely sister that this is not a bull, but a steer. Will get it right next time. It was still mean looking. And, I'm still proud of myself for patting it (even if I was on the other side of the fence).